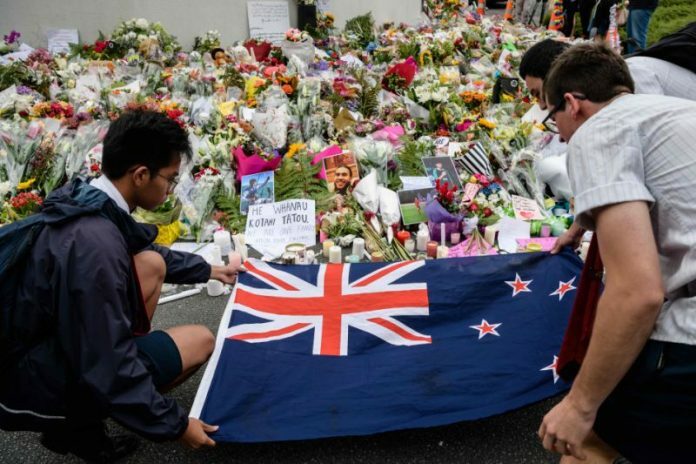 New Zealand’s rapid decision to ban the semi-automatic weapons used in mosque massacres this month brings the country in line with countries that have stricter gun laws such as Australia, the United Kingdom, and, to a lesser extent, Canada. At the same time, New Zealand is one of only three countries, including the United States and much of Canada, that does not require registration of most firearms other than handguns, a “loophole” to those who support registration as a key pillar of gun control. The New Zealand ban also is not across the board. It specifically zeroes in on the type of weapons used in the killing March 15 of 50 people at the Christchurch mosques, but it does not include semi-automatic .22-caliber or smaller guns that hold up to 10 rounds or semi-automatic and pump-action shotguns with non-detachable magazines that hold up to five rounds. An examination of the gun laws of a dozen countries in Europe, Asia and the Americas shows an equally wide variety of approaches, each tailored to a country’s own history and political orientation. The ban on weapons in Japan reflects a cultural orientation dating to the 1700s, when gun ownership was practically eliminated. Students display the New Zealand national flag next to flowers during a vigil in Christchurch on March 18, 2019, three days after a shooting incident at two mosques in the city that claimed the lives of 50 Muslim worshippers. Panama allows the private possession of semi-automatic assault weapons, according to extracts of Panamanian law posted by gunpolicy.org. It permits concealed carry and makes the application process for a gun permit simple. Yet the process can take up to a year. Singapore has perhaps the world’s strictest gun laws. Ordinary citizens are not permitted access to any firearms and, if caught, are physically beaten by caning with no fewer than six strokes, according to the Arms Offences Act. Anyone who uses a firearm while committing a crime faces a mandatory death sentence, even if no one was killed or injured. After a mass shooting in 1996, when a gunman killed 35 people and injured 23 in Port Arthur, Tasmania, Australia’s government moved quickly to restrict ownership of pump-action shotguns and high-capacity semi-automatic rifles with more than five rounds. In buyback programs, Australians turned over 650,000 assault weapons. Gun owners are now required to demonstrate a “genuine need” for a particular type of gun, which doesn’t include self-defense, and to take a firearm safety course. License holders also must meet strict storage requirements, including keeping ammunition stored separately. Under President Jair Bolsonaro, Brazil is moving to overhaul its gun laws to expand the number of people who can own them. “The people decided in favor of buying guns and ammunition, and we can’t deny what the people want at this moment,” Bolsonaro said in January at a televised signing ceremony for the new decree. It establishes a wide range of categories for who qualifies for gun ownership, including citizens living in rural areas, in urban areas with high levels of homicide, business owners, gun collectors and hunters. Prospective gun owners can’t have a criminal record and must still take a psychological exam, a course at a gun club and be at least 25 years old. Only police officers, members of the armed forces or people with written permission from the home secretary may legally own a handgun. Gun owners must obtain either a Shotgun Certificate or a Firearm Certificate, the Marple Rifle and Pistol Club notes. While people can be permitted to own a gun for “good reason,” that does not include self-defense. According to guidance from the Home Office, determining what is a “good reason” is “one of the most substantial and complex areas of discretion that chief officers may exercise in licensing firearms.” Even hunters who want to shoot game on their own property don’t automatically get a license. Police are allowed to determine, for example, whether the land in question contains the specific wild game suitable for the firearm being sought. A license is required to own any of three categories of guns: non-restricted, restricted (such as certain types of semi-automatic guns) and prohibited, such as automatic weapons, sawed-off shotguns and rifles under a certain length. Licensees must complete a restricted firearms safety course, covering basic handling and safety practices, and pass a test. Under the Firearms Act, applicants for a license must provide extensive information on their mental health, employment and marital status. Applicants, as well as their doctor in some cases, may also be interviewed. The waiting period is a minimum of 28 days. Aside from those who use a weapon in their work, individuals can own a restricted gun only for target shooting and for a gun collection. Owners of non-restricted guns must put a lock on the gun or remove the bolt, so it cannot be fired, or else keep the gun locked in a container or room that is difficult to break into, according to CTV News. Civilians are not permitted to have guns and can face life imprisonment for trafficking firearms. They can obtain a firearm for hunting only after a strict licensing process. Conviction for illegal possession or sale of firearms is punishable by up to 10 years in prison and up to life for arms trafficking, according to the Supreme People’s Court. Signs point towards a gun shop in Christchurch, New Zealand, on March 21, 2019, claiming to be the world’s largest gun shop. Norway does not allow concealed or open carry, but with a specific permit it allows some people to own semi-automatic rifles. Weapons are individually licensed by local police who can revoke them “if the holder is not sober and reliable or if for special reasons he can be considered unfit to have firearms,” according to Norway’s Firearms Act. Likewise, the license can be pulled if the local police conclude the person no longer has a need for it. Self-defense is not accepted as a valid reason for obtaining a gun license. Fully automatic weapons are generally not permitted, but semi-automatic weapons are legal. For people interested in handguns for sport, they must show continuous activity in the sport for two years before they can get a license to possess their own firearms. The firearms or their vital components must be stored securely in an owner’s residence, and police are allowed to make inspections after a 48-hour notice. Guns play a unique role in Switzerland because of its militia armed forces made up of conscripts or volunteers who are allowed to keep their weapons at home. Once they have completed their military service, former members can keep their service weapon if they obtain a firearms acquisition license. Automatic military firearms are converted to semi-automatic firearms. In 2011, a referendum failed that would have prohibited this keeping of weapons at home. It had been prompted by several incidents in which militiamen killed themselves or others with their weapons. Since 1999, Switzerland has federalized its gun control laws, which had been controlled by individual cantons. The Swiss Weapons Act requires an acquisition license for handguns and a carrying license for any permitted firearm for defensive purposes, according to a Library of Congress analysis. Automatic weapons are prohibited outright. The government is moving to ease restrictions by supporting a “legitimate defense” bill that would, among other things, lower penalties for Italians who kill someone thought to be a threat in their own home, according to CBS News. Concealed carry is permitted, and citizens – like a security guard or store owner fearful of a robbery – can even carry a loaded firearm in public after proving a “valid reason.” Such a license is difficult to obtain and must be renewed every year. Citizens can own and keep in their home up to three handguns,12 sports handguns or long guns, and an unlimited number of hunting long guns. Private firearms must be registered at the local police department within 72 hours after purchase. Ammunition must be registered and is normally limited to 200 rounds for handguns and 1,500 rounds for hunting firearms. Finland, where hunting is popular, has the highest per capita gun ownership in the Nordic countries. Handgun license applicants are allowed to purchase firearms only if they can prove they are active members of regulated shooting clubs. Before they can get a gun, applicants must pass an aptitude test, submit to a police interview and show they have a proper gun storage unit. Story appeared on Yahoo News. Previous articleBrexit: What will happen in the British parliament on Monday?